Aristotle University Thessaloniki, Greece. Why You Should Study Here? 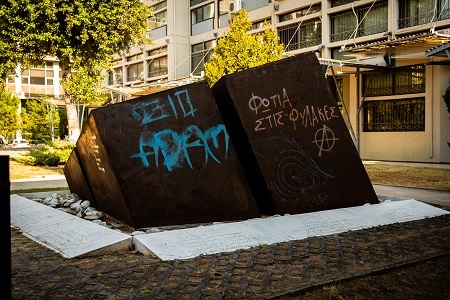 “Sacrifice to the Muses and the Graces” reads the motto of the Aristotle University of Thessaloniki. While most universities would stick with “Let there be light” (literally the motto of every other university you can conjure up) or “Wisdom and knowledge,” here we just unapologetically jump straight into the Greek mythology and gallop with it. Magical. But as magical a motto as it is, does it actually imply it is a magical place of learning? Let’s find out. 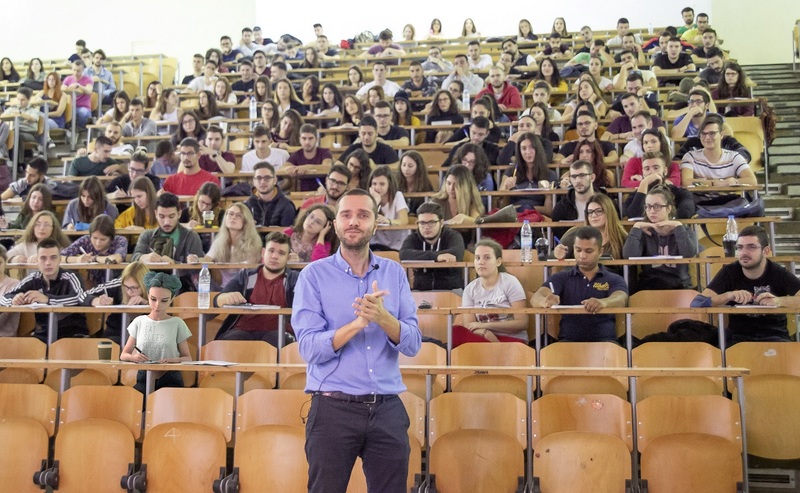 Aristotle may not be around anymore, but his disciples continue their critical studies at the Aristotle University of Thessaloniki. A mere 55 kilometers away from Aristotle’s birthplace in Stageira, the Aristotle University of Thessaloniki can be considered a living, breathing monument to one of the most formidable philosophers of all time. 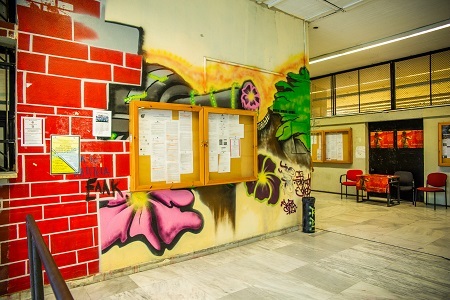 It’s also the most sizable university in Greece, boasting 230,000 square meters in center Thessaloniki alone. Offering 41 programs in different departments (two of them being philosophy and theology, of course), the university provides a learning environment tailored for everyone. 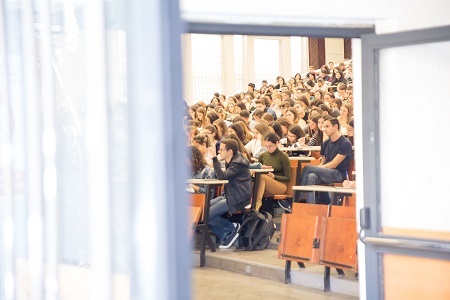 Although classes are conducted primarily in Greek, there are programs offered in English, German, French, and Italian, contributing to an immense international environment in the midst of a lesser-frequented Greek city. Most interesting, it attracted a former Republican U.S. Senator—Peter Fitzgerald—who completed an alma mater at the university in the 1980s. He also happened to be succeeded by no other than Barack Obama. Mysterious monument in the middle of campus. What is it for? I need to find out soon! Also, did I mention how ENORMOUS it is? I did? Oh. Anyhow, besides comprising of over 200,000 square meters, it is also home to 65,000 undergrads and 8,000 post-grads, over half of which are in a doctorate program. Not to mention, there are over 2,000 faculty members. Whoa. Another incentivizing aspect is the cost. A year at the Aristotle University is meagre thousand dollars a year. That’s literally 1/60 of the cost of attending a private university in the U.S. And the cost of living, on average, is between $394 to $779 a month. Your wallet will never be happier than at Aristotle University. The university has a mission statement of offering equal opportunities for all in the fields of communication, learning, and research. It envisions an improved civilization that offers equal rights for everyone in order to gain the prosperity they deserve. I already feel invigorated to go and change the planet. ➲ Subscribe to receive the latest updates on universities all over the world! The department of History and Archaeology continuously carries out archeological excavation projects, and their findings have contributed a considerable amount to how archeological investigations are conducted and equipped many students from under and post-graduate programs with the necessary abilities to continue on their own. It also houses an impressive sixteen museums, including the Folklore Museum, the Greek Manuscript Collection, the Geology-Paleontology Museum, the Archive of Theatre History, and the Museum of Criminology. Forget going to classes—if I attended this university, you’d only ever be able to find me goggling at primordial skulls or giving my acting an edge by learning about ancient Greek drama. Although most people would peruse the White Tower or gaze at the ships on the Promenade, there are plenty of hidden gems to discover in the city. Who would have thought, for instance, that trains could also be laid to rest after their useful life is over? In Thessaloniki’s train cemetery, however, this is precisely the case. Hundreds of cars can be explored just outside the city, many with unconfirmable lore attached to them. If you’re a person with imagination, or you really want to contemplate all the wisdom you’re sure to gain at Aristotle’s one and only university, it wouldn’t hurt to peruse the cemetery one day. However, if visiting an actual cemetery is more in your step (what’s with the morbidity today, Ruby? ), I’d encourage you to wander over to Bogomils Graveyard and learn about the history of heretical Gnostics. A sect of people who believed in duality between God and the Devil, they performed rituals constituting dancing and fasting and did not build temples as they just revered their own bodies. 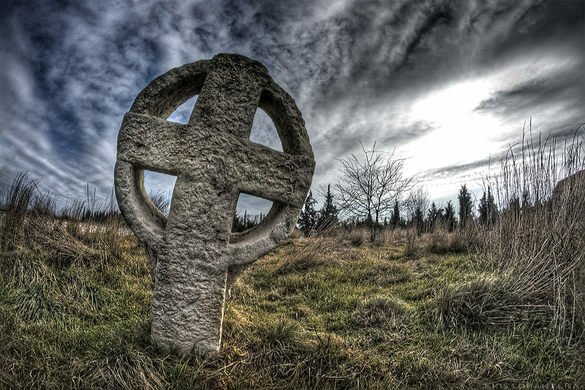 Due to their unconventional beliefs, even the crosses marking their graves are a bit kooky-looking. If for some reason you’re not into going to places of death, there is a more conventional option: the Castle of Rentina. 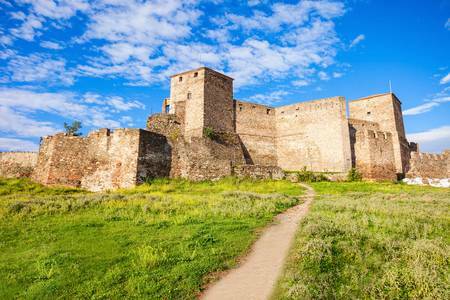 Built in the 300s B.C., this castle shows the complexity of multi-nationality in an area conquered by multiple empires. Occupied first by the Serbs in 1345, it was acquired by the Greeks in 1371, the Turks in 1383, the Greeks again (back at it for round two) in 1402, and finally the Ottomans in 1423. It’s like a thousand yearlong game of staking claims. The only part missing is an announcer. Heptapyrgion Fortress also provides for an interesting experience. A former fortress for the military guard of the city, it was constructed not long after the founding of Thessaloniki in the 3rd century B.C. Besides its fascinating history, the monument is breathtaking. Finally, if you need a break from the viewing the impressive testaments to ancient Greece, you can unwind in the Pasha Gardens, a mystical place rumored to have previously been frequented by Ottoman freemasons and Sephardic Jews. Initially created in 1904, many of its monuments were damaged not long after by migrants who needed the materials to build homes. However, they are all still intact, and their decrepit nature adds to the otherworldly feeling of the place. 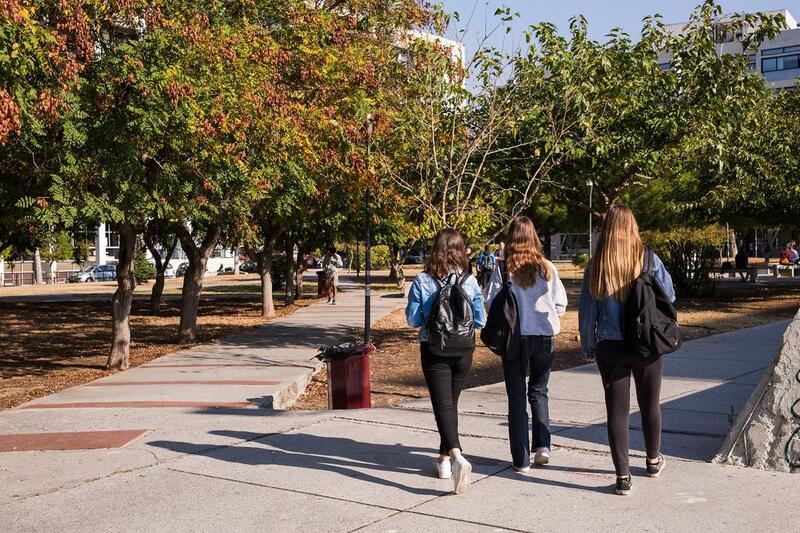 All in all, the Aristotle University of Thessaloniki provides for an unconventional education steeped in the history and traditions of Ancient Greece. If you grew up reading about or hearing the lore of the Greek gods and the mythical creatures of ancient Greece, you’ll love it here; after all, you’ll be under the eyes of the Muses and the Graces. Catch you on Mount Olympus! - Ruby G.
Studying at the University of Southern California, United States? Totally Worth It.